This Easy Crockpot Caesar Chicken takes just about five minutes to assemble in your slow cooker and gives you impossibly tender, delicious chicken. Perfect for high-protein, low-carb meals: salads, wraps, tacos, or sandwiches! I was lucky enough to be assigned to Who Needs a Cape? This blog is special because it is run by a couple of moms, Heather and Lori. And "Not Your Average Super Moms," either. These Super Moms met online years ago, during their respective pregnancies; they've since become great friends. They pitch in with the creation of blog posts, so readers get a fantastic variety of great ideas. Who Needs a Cape? is full of yummy snacks, simple family meals, and delicious desserts. There were lots of recipes that were calling my name: the Sausage and Green Chile Cornbread looked like a wonderful, easy brunch dish. This Strawberry Pecan Baked Brie is just the right balance of sweet and savory. And at some point I'm totally going to tackle their 40 Meals in 4 Hours Crockpot Freezer Meals. But then...I spotted Lori's Slow Cooker Shredded Caesar Chicken. I love discovering new Crockpot recipe ideas, and this idea is something I'd never tried before. Cooking chicken in Caesar dressing? I happen to loooove Caesar salads, so this sounded like a fun and delicious idea. I generally make my own salad dressings—I like to control my ingredients—but the point of this dish is EASY. So, I opted for a prepared dressing with quality ingredients and no preservatives: I used Marzetti Simply Dressed Caesar Dressing, found in the refrigerator section of my store's produce section. (This isn't a sponsored post, I just liked the product!) This Easy Crockpot Caesar Chicken came out amazingly delicious. It was incredibly simple to make and the chicken is so versatile: use it in tacos, salads, or sandwiches for a fast weekday meal. 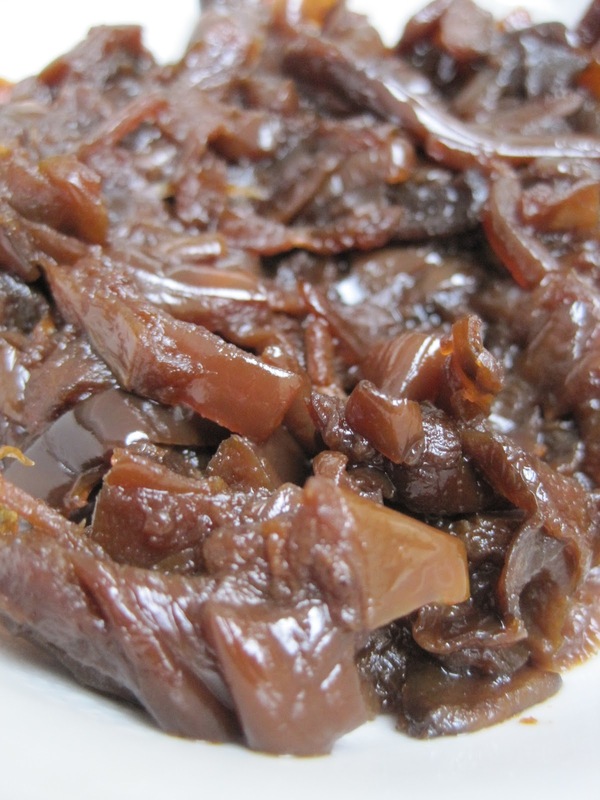 Lightly coat slow cooker with olive oil or cooking spray. Pour 1/2 of the dressing into the bottom of the Crockpot. Place chicken on top. Sprinkle pepper and garlic over chicken, then top with the rest of the Caesar dressing. Cover and cook on low for six hours or on high for four hours. Remove chicken breasts—they will be falling apart tender—and pull apart or shred with two forks. I prefer to leave mine in chunks, rather than really shredding. Serve in lettuce wraps or tortillas, in sandwiches or quesadillas. The possibilities are endless! I let the Easy Crockpot Caesar Chicken cool to just warm and then served it over a huge bowl of romaine lettuce; I didn't dress the salad, just drizzled some of the yummy cooked Caesar sauce over it. Then I added diced avocado, sliced red onion, and some Parmesan crisps instead of croutons—this way you get the added crunch, but keep the dish high-protein, and low-carb! Sooo delicious! 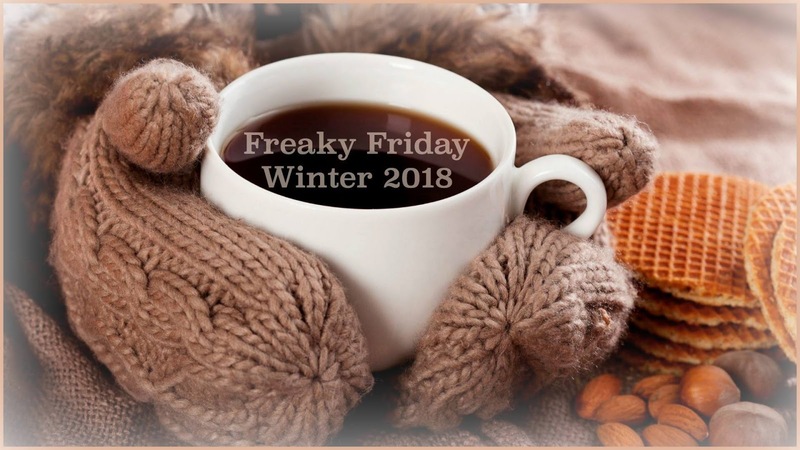 Make sure to check out all the fabulous #FreakyFriday recipes from my blogger buddies! I love anything in the crockpot... and this chicken sounds so flavorful and delicious! I think Ill try to for tacos today! I love this recipe and that it's made so simply! Completely versatile too, this is definitely going into our dinner rotation. I think I'm going to try it in the Instant Pot!! Nice job, knocking this recipe out of the park! Talk about fusion, who would ever think of doing a slow-cooker based caesar chicken?! Sheer genius here and great job! How easy is this!?! 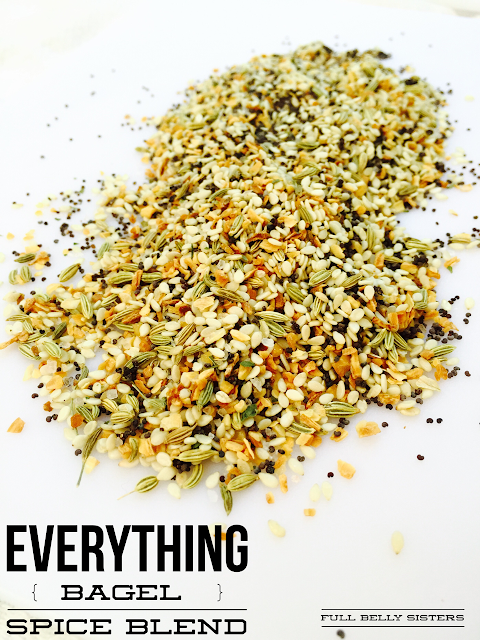 A great way to prep some yummy chicken for weekday wraps and salads! This looks great! I love how easy and fresh it is. We use Caesar dressing all the time but havn't tried the one you suggest yet. I'll give that a shot soon. We usually use Newman's own - really good. And those Parm crisps look fantastic! I love how easy this chicken is and it sounds so delicious! What a great simple recipe! I could definitely make a good sized batch and enjoy it all week! Love this! Ok, it sure doesn't get any easier to make tasty chicken, right?! Making this and really hope that we don't eat it in one sitting because I want leftover to take for lunch this week! I, too wanted to make the sausage and green chili cornbread! That would go great with this Caesar Chicken! I am so dreaming of this with some pasta! I definitely need to try this! Lori is queen of great crockpot recipes! This is going on the menu for next week. I love that the crock pot does all of the work! We need to eat more salads and this recipe will help that! We eat Caesar salad at least once a week. I'm with you... I looooove Caesar salads! And I really love the fact that this super simple crockpot chicken can be enjoyed in so many ways (although your salad is probably my #1 fave). Really looking forward to trying this recipe! So happy you found this recipe and chose it, nice job! Slow cookers and chicken are a winning combination! I love this caesar chicken recipe! It so great in everything from wraps to salad!